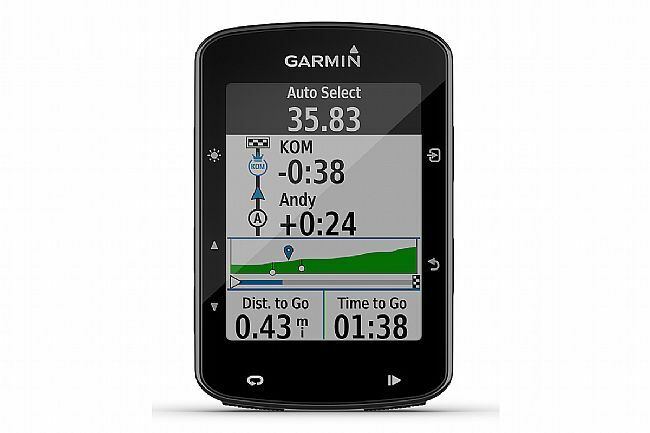 Includes Garmin Edge 520 Plus Cycling Computer, out-front flush mount, standard mount, tether, USB cable, user manuals. The one caveat I had with my 520 Plus was a horrible time pairing and synch-ing when I first got it. I almost returned it to BTD, but then, mysteriously, I got a half dozen updates from Android and Garmin and Garmin Connect started talking properly to Strava & RWGPS and I was in LOVE. My wife paid for half of the cost as she wanted to know where I was if I needed rescue and LiveTrack does just that. (so do free phone apps, but I don't like relying on my phone for everything, I like a backup) I haven't used GroupTrack, but my local bike group does, and it's great if riding with another rider who has different skills or a different fitness level. I went back to my Edge 305 last week because my 520 Plus was doing an hour map update, and it felt like I was going back to the stone ages. I love the way the new Garmins works flawlessly with my cell, but doesn't depend on it working for anything critical. I also wanted a color screen, so, in the end, I decided against the Wahoo. I seldom use the mapping of the Plus, but when I need it I'm extremely thankful I have it. We have a lot of roads that curve back around on themselves here, as well as paved roads that suddenly turn into dirt. Good maps are a god-sent. I got mine here at BTD, but with a bunch of discounts, so about $50 less after watching prices on the Wahoo for over 6 months that wouldn't budge. In the end the mapping features of the Plus, and color screen, were exactly what I was holding out for and am very happy with my purchase. 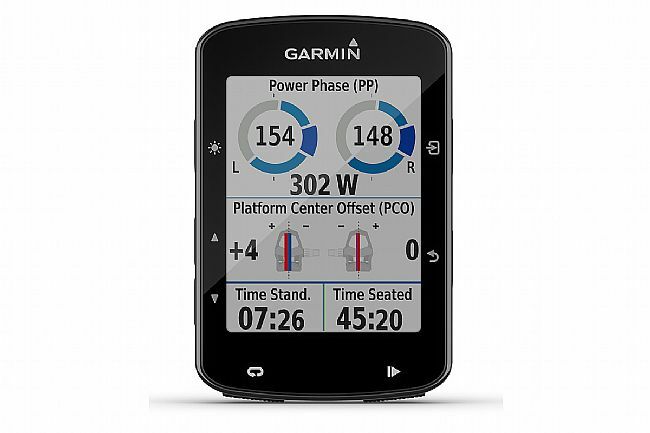 Im new to Garmin GPS units and reading the history on them the new 520 Puls seemed to be a good place to jump in. Pretty decent tech for the rapidly falling price. The data and screen are great, more than I know what to do with. The Garmin Connect App is pretty basic, seems you need Strava and other third party apps to get more value out of the GPS data. Uploading routes is still clunky having to plug your device into a laptop but its pretty solid once you get it in the device. All and all its a cool toy, we arent totally there yet with GPS cycling computers but its cheaper than ever to try it out. Replaced my very old Garmin 500 with the 520 Plus. Got it on sale and I couldn't pass it up. Huge improvement over the 500. Finds the satellite very quickly, the 500 took for ever. Ton more features and I love that your able to load in route and it provide directions with visual and audio alters. I ride 3000 miles per year but not competitively. I was also able to use my old upfront mount from the 500 with the 520 Plus. Just purchased the Garmin tail light with radar which will Bluetooth to the 520 Plus. Got that on sales too and saved $. Love doing business with BTD. 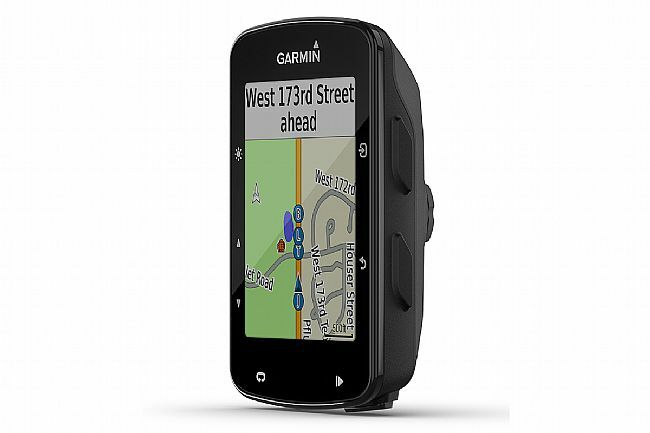 This is my 3rd Garmin and definitely the best. Ive wanted to move from a basic computer to something more advance for a while. Really glad this was my choice (well researched). Does everything I want. Works perfectly. Good size. No problems. BTD is awesome. Coming from a 4 year old Edge, this is easy to read. It finds the satellites quickly, and you can program on the display what you want to see. Trailforks is not as easy to read as on a phone, but if you don't want to ride with your phone on your bars off road, this will save you from pulling it out at every stop. Has worked great recording rides and downloading maps works perfectly. The turn by turn directions is so much fun! I got this unit as a replacement for an Edge 820. The 820 had an almost unusable touch screen and I always wondered why they didnt have a 520 with mapping. Overall , the usability of the unit is great. The buttons positively move from one screen to the next in a deterministic way unlike fumbling with the touch screen. The mapping function is pretty good , I am able to upload routes from my iPhone or computer and it works pretty well. The only thing I wish it had was to navigate to a map point without actually physically being at the point and saving it. There is a work around which involves creating a route on a smartphone and uploading it to the unit. But you need a smartphone to do this. Im am truly enjoying my new Garmin 520 plus it does everything my 1000 did and much more. Works fine. A step up from the smaller models. Easy to read, great battery life, precise GPS navigation and smooth integration into the iPhone... couldn ask for any more. 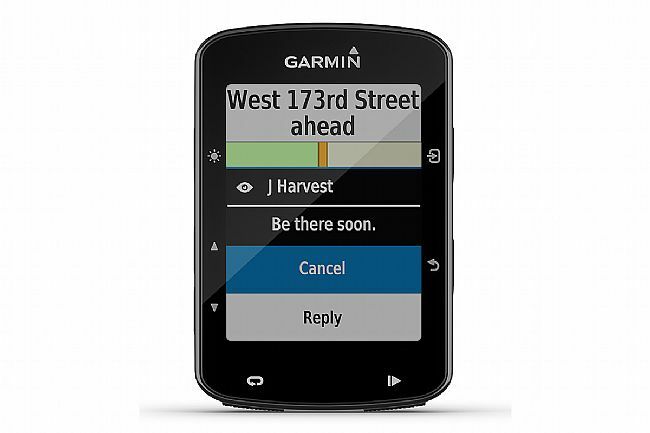 Great new Garmin 530 plus with new full maps and slightly redesigned data fields. i love using the new Garmin 520, it has everything the 520 has Plus the slightly toned down maps of the 820. overall i like the new maps it comes with. wish the screen was slightly bigger but it fine overall. Also has a slightly updated data fields which look great. I replaced my old 500 with the 520 plus after trying the 820 out. The 520 is easy to setup and use. I mapec out an 8 day 400mile ride no glitches at all.